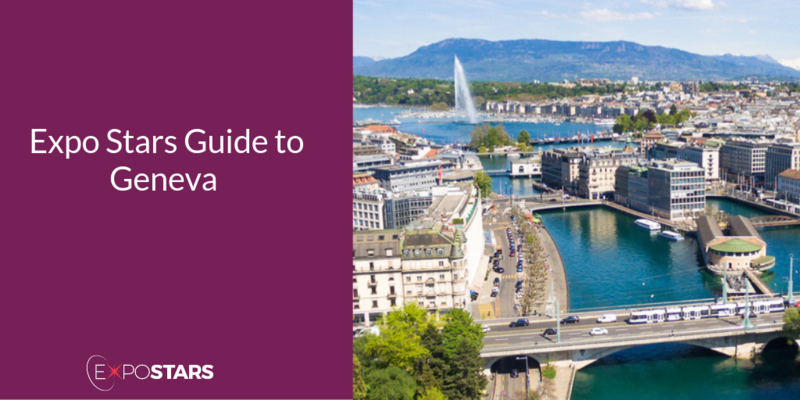 Geneva lies at the southernmost tip of Lac Léman (Lake Geneva) in Switzerland. Surrounded by the Alps and Jura mountains, the city boasts dramatic views of Mont Blanc. If its location wasn’t enough to put it on the map, it is also the headquarters of Europe’s United Nations and the Red Cross and is a global hub for banking. Not only is Geneva a financial centre of international repute, The Red Cross was founded there in 1865. Geneva also plays host to many businesses, including watch and clock makers, pharmaceutical and chemical research companies, and plenty of major retailers. Geneva airport is conveniently only 4 kilometers from the city and is easily reachable by public transport: train and bus; taxi or shuttle. The train journey between the airport and the central railway station in the city (Gare Cornavin) takes just 6 minutes, whereas the bus to downtown takes about 20 minutes. The lake is undeniably the star of Geneva's show. It is provides the most beautiful background for the city, which in turn has the unmatched backdrop of the Alps. Explore the lake on one of the regular boats that connect Geneva with Lausanne, Montreux, and other lakeside towns, or for a taste of lake travel of long ago, take a cruise on one of the historic paddle steamers. Of all the cafes specializing in Swiss cheese fondue, Café du Soleil claims to serve the very best in town. Restaurant Les Armures menu boasts many Swiss specialties, including raclette and fondue, alongside soups, pastas, meat and fish dishes.